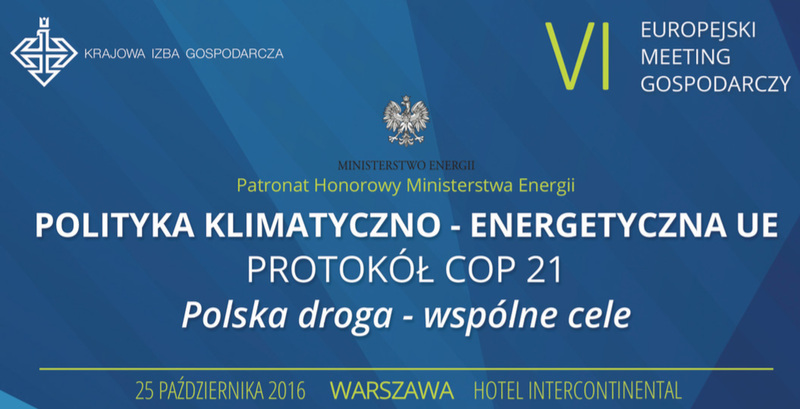 On 25.10.2016 in Warsaw wil tak place an important discussion about the future of the climate and energy policy of the European Union. This is part of the VI European Economic Meeting, in which once again Consus Group representatives will participate. The event is a continuation of a series of conferences devoted to the policy of the energy and climate organized annually by the National Chamber of Commerce. We were invited by the National Chamber of Commerce, to share our thoughts on the necessary policies and legislative processes which are to ensure proper development of the EU and our country in the area of ​​climate and Energy. 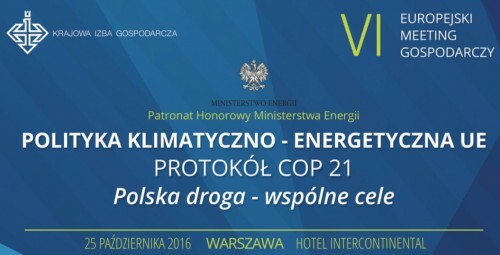 Together with us will discuss representatives of the Polish and European economy, science, environment organisations, trade unions, public administration, as well as state authorities - the Government and the Parliament. From the Consus Group, this prestigious meeting will be attended by Maciej Wisniewski and our CEO.